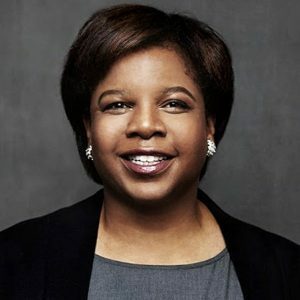 Jocelyn’s motto is, “tell the truth and make a difference.” She’s a sociologist at heart and a fierce advocate for making sure that systems work for Black women. She’s also passionate about amplifying Black women’s voices so that we can win the “story wars” and shift the debate. In addition to enjoying her amazing career as a fundraiser, marketer, and leader for nonprofits. She’s in love with her friends, her daughter, her husband, and her dog, Olive. Connect with Jocelyn on Linkedin and Twitter. Since her school days, Angela has engaged in social activism to push the United States to be a more just and equitable society. A lawyer by training, Angela has also used the law, history and social theory to pursue the progressive agenda. Angela devotes her time to reading, writing and talking about ideas that can change the world. As a black woman, Angela particularly relates to the challenges and triumphs of black women, but she sees herself as a champion for all people. Angela believes that by acting together, people of good will can change the world for the better. She enjoys music, travel and spending time with family and friends. 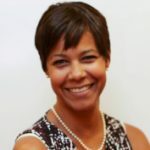 Connect with Angela on Linkedin and Twitter.